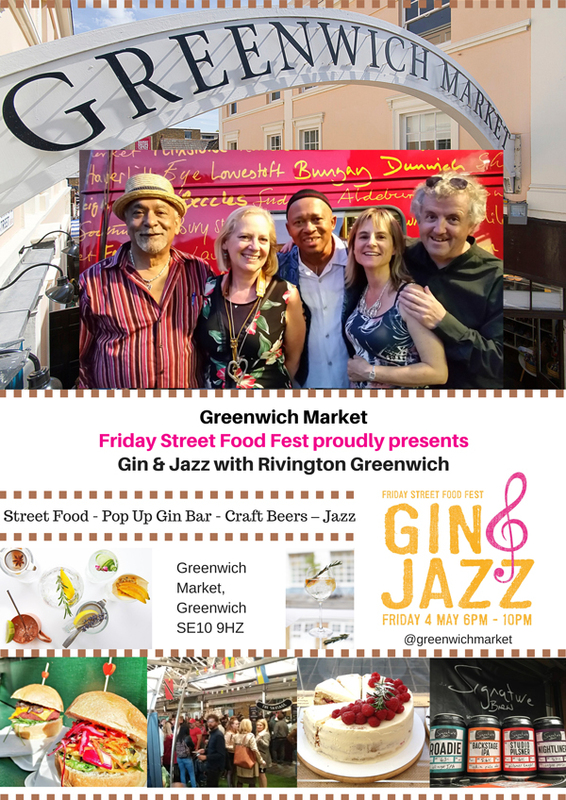 The Deppa Hirst Band has performed at Marlborough; Greenwich and Swanage Jazz Festivals. 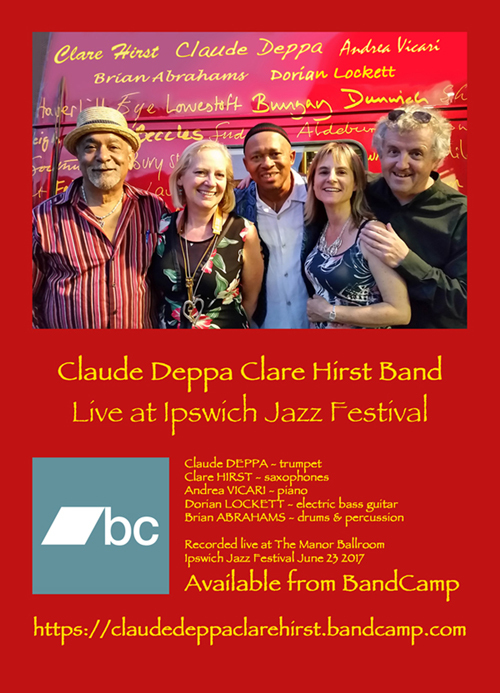 The music is a mixture of Claude and Clare's eclectic compositions with influences from Township Jive to Brazilian Samba and Jamaican Reggae. 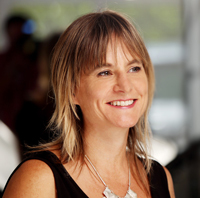 Completing the lineup is pianist; composer and broadcaster Andrea Vicari and multibassist Dorian Lockett, here on electric bass and Brian Abrahams on drums. This album was recorded live at Ipswich Jazz festival. 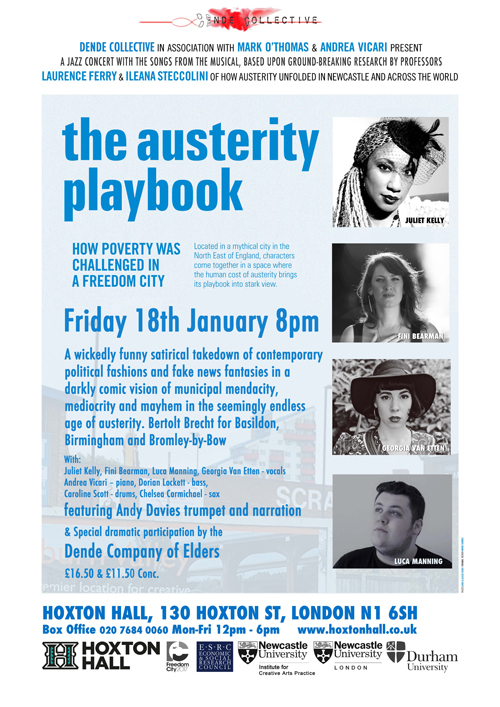 TICKETS NOW ON SALE ! 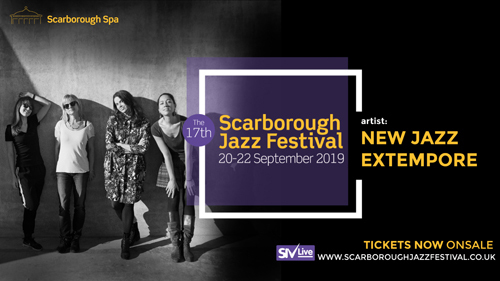 Following on from the 2018 Jazz Extempore project in Croatia the band will be touring the UK in September 2019. 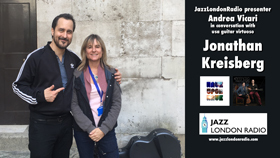 Andrea interviewed New York based guitarist Jonathan Kreisberg before his sell-out gig at London's Pizza Express Jazz Club in Soho. Guitarist Jonathan Kreisberg has been steadily building his name as one of the most compelling composer/performers in Jazz. Combining timeless melodicism with forward thinking lines and textures, His style and approach has created a strong following of fans around the world. He frequently tours worldwide and records with his own groups as well artists such as Dr. Lonnie Smith, who says of Kreisberg "He is a passionate musician with great vision, and he is constantly in fiery pursuit of innovation." 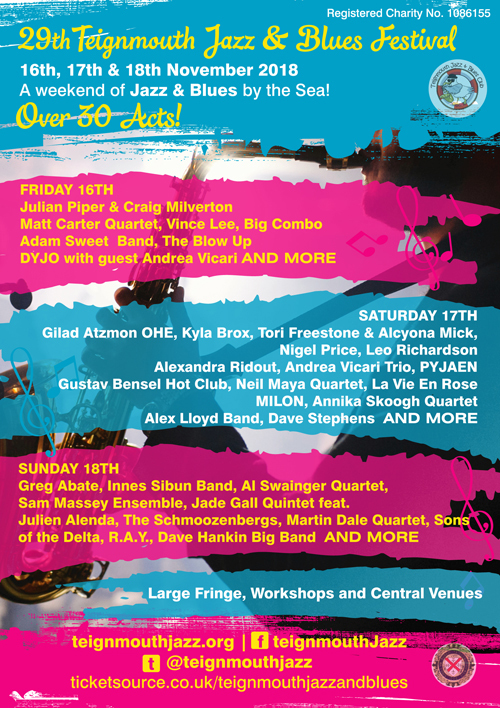 Andrea Vicari created a special arrangement for the Devon Youth Jazz Orchestra played in a gala concert opening the Teignmouth Jazz Festival 2018. 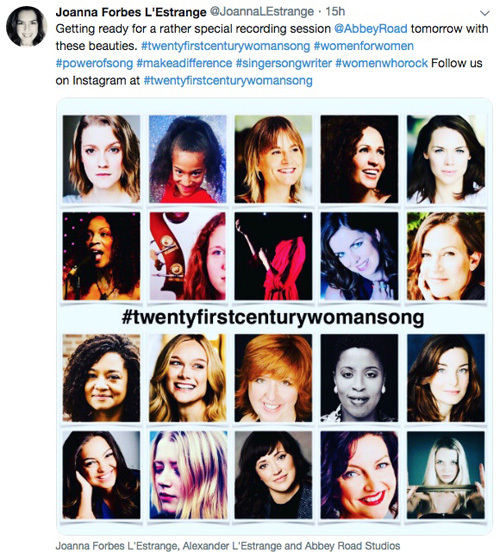 “Twenty-first-century woman is a gospel-style song for women’s voices and band, inspired by Oprah Winfrey’s famous 2018 Golden Globes acceptance speech. 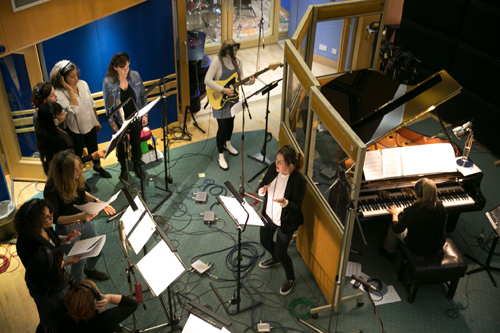 It will be recorded at Abbey Road Studios on 22nd November 2018 by stars of London’s West End scene, singers from Hollywood film soundtracks and an all-female band of top London session musicians. 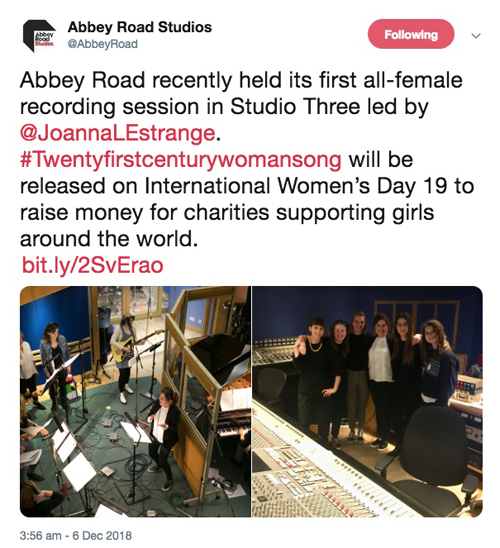 The recording of #twentyfirstcenturywomansong will be directed by the song’s composer, Joanna Forbes L’Estrange, and released on Friday, 8 March 2019, International Women’s Day. 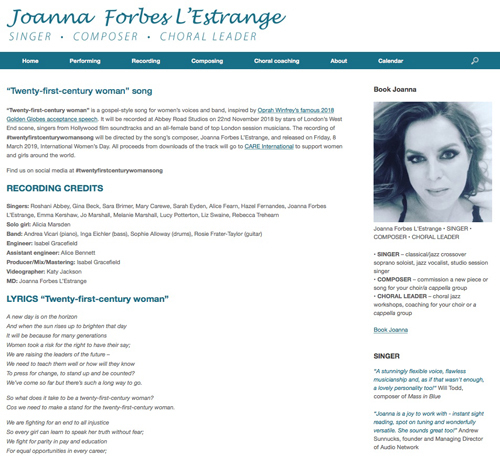 All proceeds from downloads of the track will go to CARE International to support women and girls around the world. 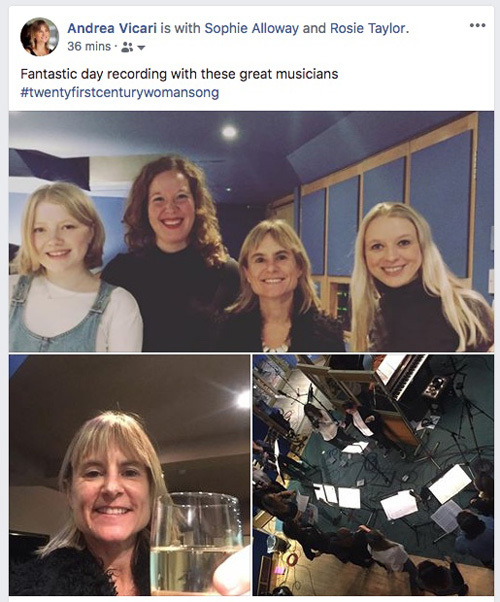 Find us on social media at #twentyfirstcenturywomansong "
Looking forward to playing at Teignmouth Jazz Festival with my trio on Sat Nov 17th but especially with Devon Youth Jazz Orchestra on Fri 16th The Pavilions premiering a specially written new chart "Screen Time". 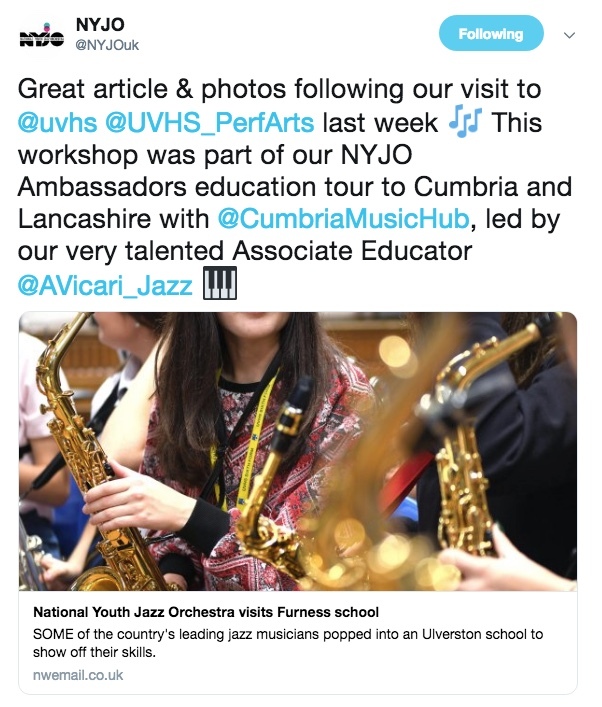 Richard Butler MBE, Performing Arts Subject Leader at UVHS, said the workshop was once in a lifetime. 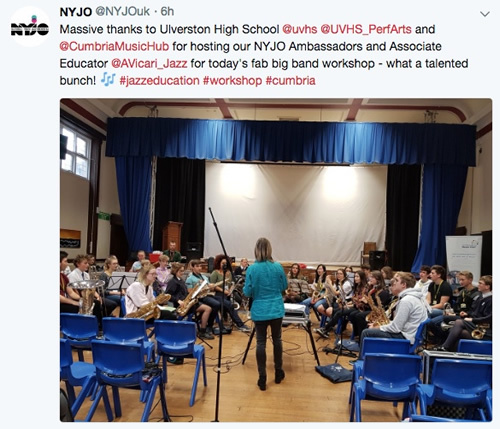 “It was brilliant for the students because most of them have not experienced anything like this before , to get a workshop with top professionals and an artist like Andrea Vicari is amazing"
Andrea is running some outreach workshops for the National Youth Jazz Orchestra. Jazz London Radio believes in playing quality music 24 hours a day, 7 days a week. The Presenters share that passion and they bring that mentality to the station on a daily basis. They are significant figures on the jazz scene, either in jazz administration or as important composers who have released great records over the years. 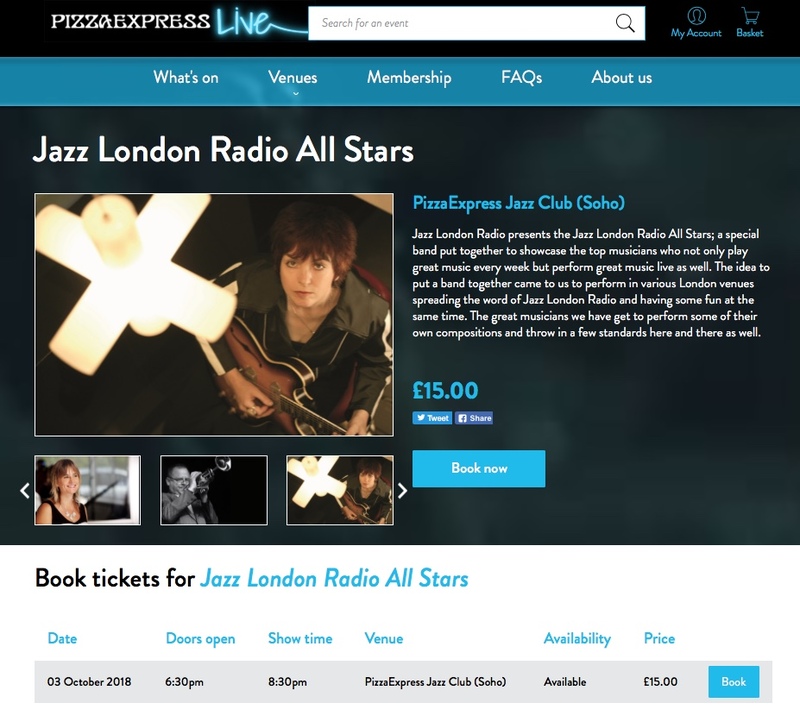 The Presenters will get together for a night of top class jazz, performing their best compositions for the delight of the Pizza Express Jazz Club. 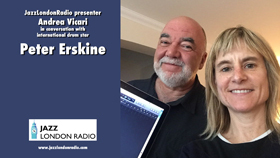 Andrea Vicari interviewed internationally renowned US drum star Peter Erskine who enjoyed 'RockStar" fame as part of legendary band "Weather Report" in the 1970s before a long an illustrious career alongside musicians such as Joni Mitchell, John Taylor, Eliane Elias, Steps Ahead, Steely Dan, Diana Krall, Kenny Wheeler, Mary Chapin Carpenter, The Brecker Brothers, The Yellowjackets, Pat Metheny and Gary Burton, John Scofield etc. He appears on 700 albums and film scores, and has won two Grammy Awards, plus an Honorary Doctorate from the Berklee School of Music (1992). 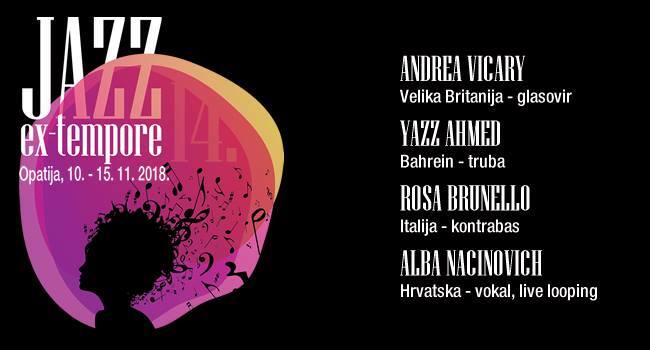 Andrea Vicari will be travelling to Quanzhou in China to perform at major concert halls in the Silk Road festival as part of the Elvis Stanic group. 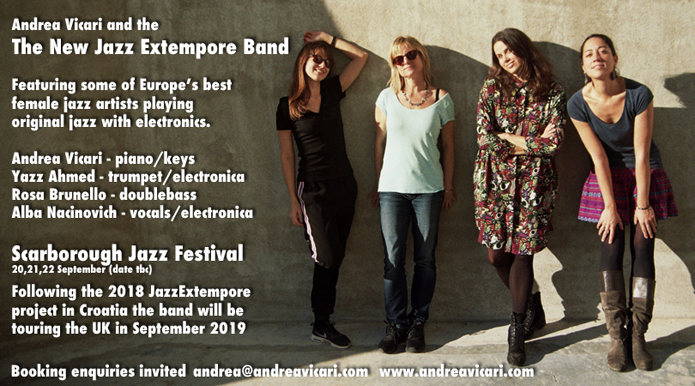 Andrea has had a long-term collaboration with the Croatian guitar through their participation in the 'JazzExtempore'project. 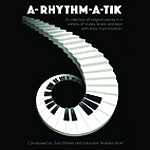 East and West" .. demonstrates their apparently never-ending scope for harmonic creativity and highly-focused improvisation"
A-Rhythm-A-Tik is a collection of 27 original pieces in a variety of styles, levels and keys and is suitable for teenagers and adult learners. The music includes improvisation over simple harmonic structures and the level is from grades 3-6 (Associated Board of the Royal Schools of Music). Andrea has recorded an album of original songs and arrangements with UK based Austrailian singer Trudy Kerr - "The House" on Jazzizit records. Trudy Kerr's latest album features four original songs co-written by Andrea and Trudy; and one Vicari vocal composition; alongside Trudy's reworkings and arrangements of classic standards and lyrics set to jazz instrumental pieces. 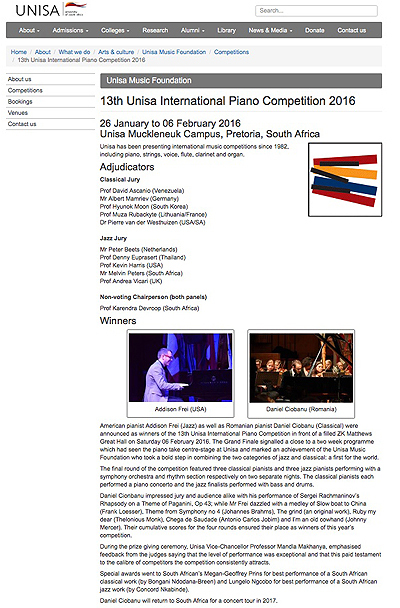 *Andrea Vicari was appointed to the judging panel of the 2016 University of South Africa Jazz Piano competition which ran from 26 January to 06 February 2016 Unisa Muckleneuk Campus, Pretoria, South Africa. 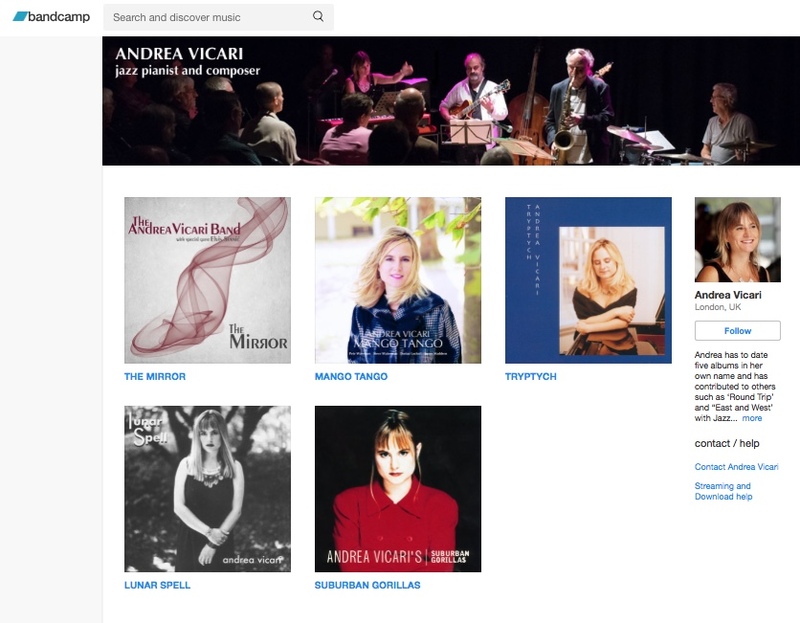 Andrea Vicari made her mark on the jazz scene both as a pianist and composer and has five albums under her own name as well as two records with ‘Jazz Extempore’; a multi-national project formed through a cultural exchange initiated in Croatia. Andrea has written music for this band and arranged UK tours including a recent residency at Lyth Arts Centre in Scotland. 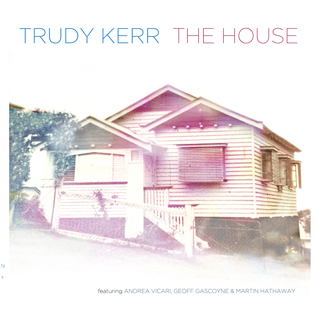 She has just released an album of original songs with vocalist Trudy Kerr called ‘The House”. 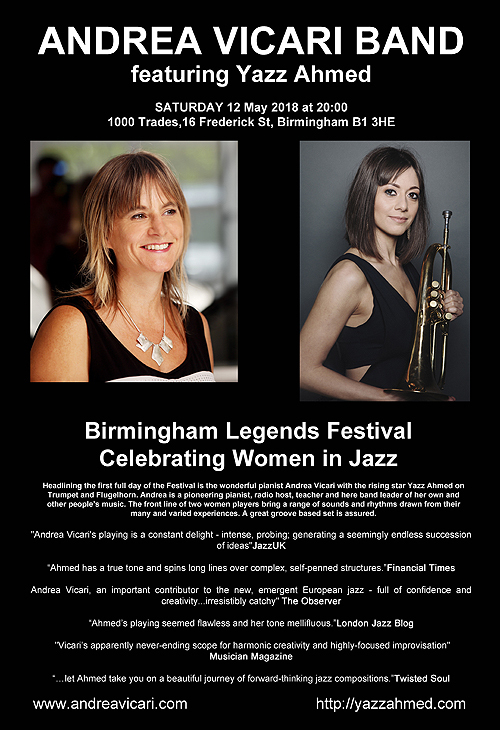 Most recently Andrea has performed the Ronnie Scott’s International Piano Festival; Swanage, Marlborough and Ipswich Jazz Festivals with South African jazz stars Claude Deppa and Brian Abrahams; Teignmouth Jazz and Blues Festival with Steve Waterman; Stratford Jazz, Shrewsbury Jazz ; Scarborough Jazz Festival; and The Bulls Head Barnes with Ex Ronnie Scott sax player Mornington Lockett. She has performed with world greats Eddie Harris and Art Farmer. 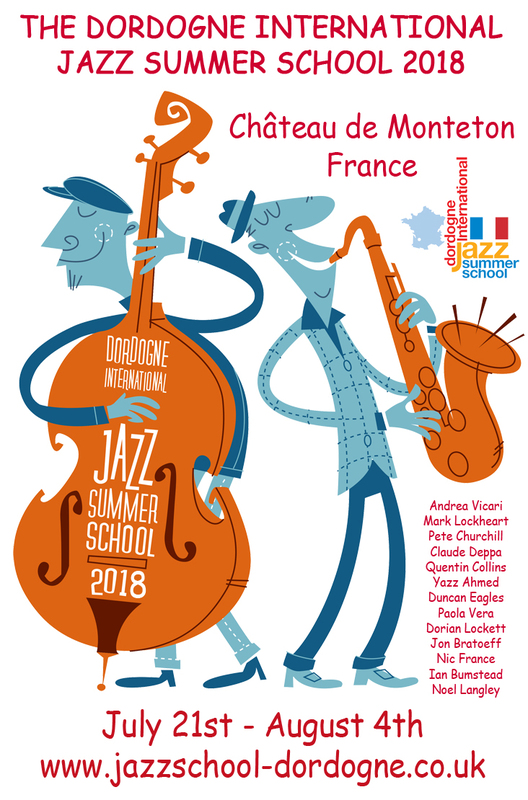 As well as being musical director of the Dordogne Jazz Summer School Andrea is a jazz piano professor and senior lecturer at Trinity Laban Conservatoire - one of the leading colleges in Britain for Jazz studies. 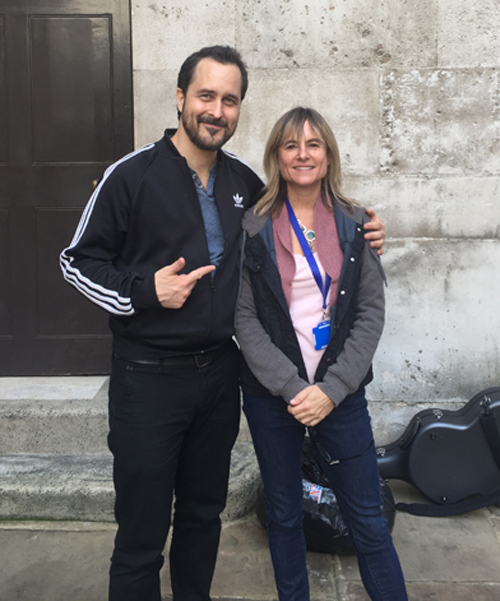 Andrea presents a weekly radio programme on www.jazzlondonradio.com; "Andrea Vicari's Jazz Doodles”; which debuts every Tuesday at 3pm and is repeated at various times throughout the week. 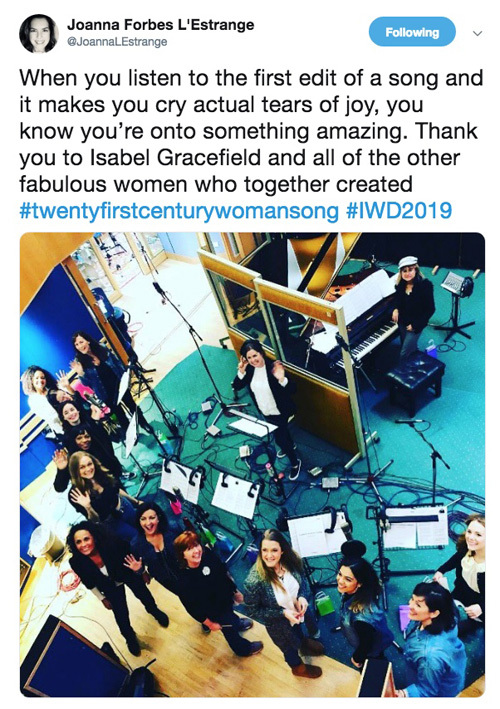 In the past year she has broadcast interviews with leading jazz artists including John Taylor; Hiromi; US stars Bill Stewart; Marc Copland; John Abercrombie and Larry Goldings; plus Bill Laurance (Snarky Puppy); Omar Puente; Joe Stilgoe; Bobo Stenson and many more. improviser and prolific composer - breathtakingly eclectic"
"..never-ending scope for harmonic creativity and highly-focused improvisation"
"a considerable compositional and bandleading talent". 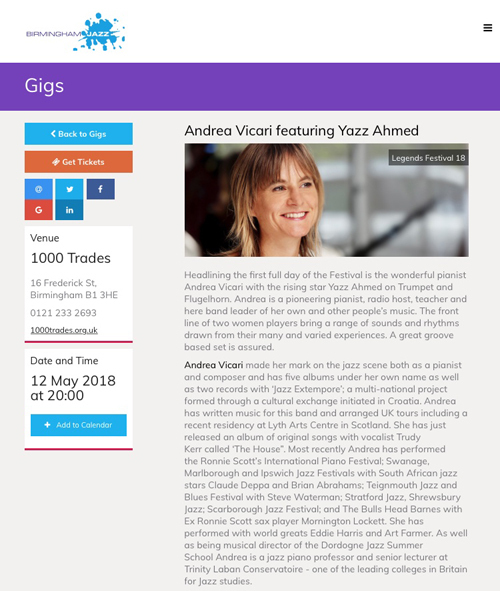 "distictive and original compositions and consistently fine piano playing.. ..she's something special"
"Who else in jazz raises frivolity to this level of the sublime?" 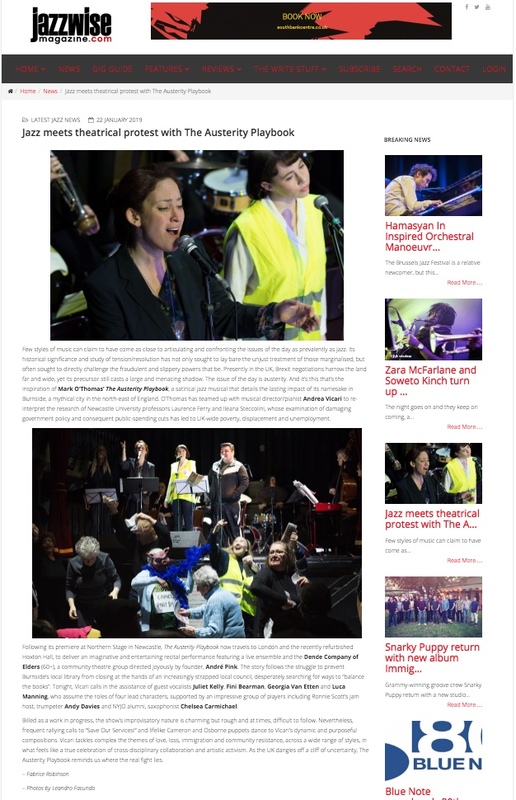 "one of the most brilliant jazz musicians in the UK - an outstanding pianist and superbly fertile composer"